I’m a Dunkin’ girl through and through. If you know me, you know this! It’s funny – whenever I’m away for work, I’m always hunting down a local Dunkin’ because their coffee (quite literally) keeps me running. Every single morning I wake up and brew a pot, it’s my brand of choice and I just love it. Thankfully my husband is just as much of a fan, so we’re Dunkin’- obsessed together! I had really fun opportunity yesterday to attend a FUN event “Sipping is Believing” with Dunkin’ right in my hometown of Providence, RI. If you haven’t heard yet, Dunkin’ has some big news!! They’ve reinvented their espresso and are introducing their customers to their unexpectedly delicious espresso beverages like lattes, cappuccinos and macchiatos. You’ve probably seen the orange cups lately!! That’s it!! I personally love that Dunkin’ has expresso drinks that are delicious and not as pricey as others on the market, that’s a big bonus win for me! 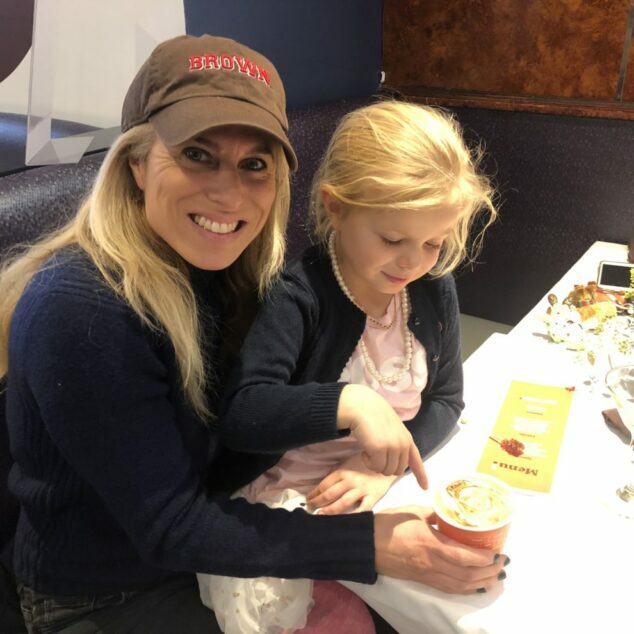 With 5 kids… I usually need a little pick-me-up in the afternoon right before the mad-dash of after school activities and sports and homework and dinner! To celebrate the launch of the new and improved espresso, Dunkin’ hosted a fun pop-up experience yesterday in the heart of Providence! 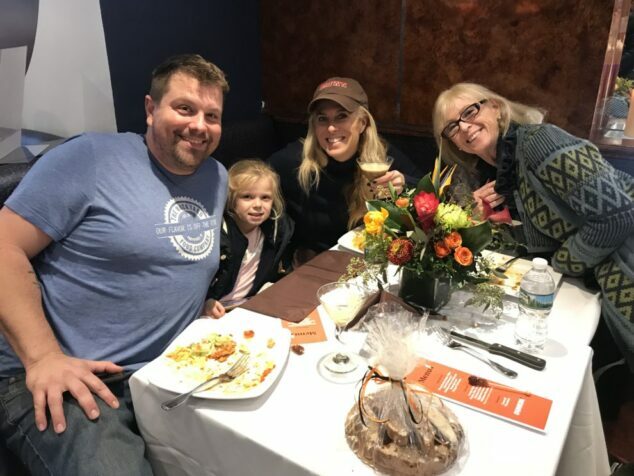 They went right into the Federal Hill section – which is the heart of Italian-espresso culture – and gave everyone the opportunity to sample, chat, dance and enjoy! I brought along my mom, husband and daughter for the festivities! There was an incredible Italian band, yummy beverages to sample, and even a renowned espresso artist who designed custom art in lattes! 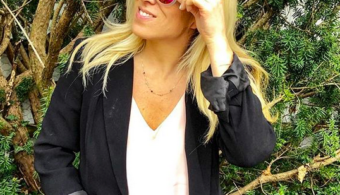 The event was SO MUCH FUN and I’m thrilled to share with you all that we did while at the Pop-up Experience!! 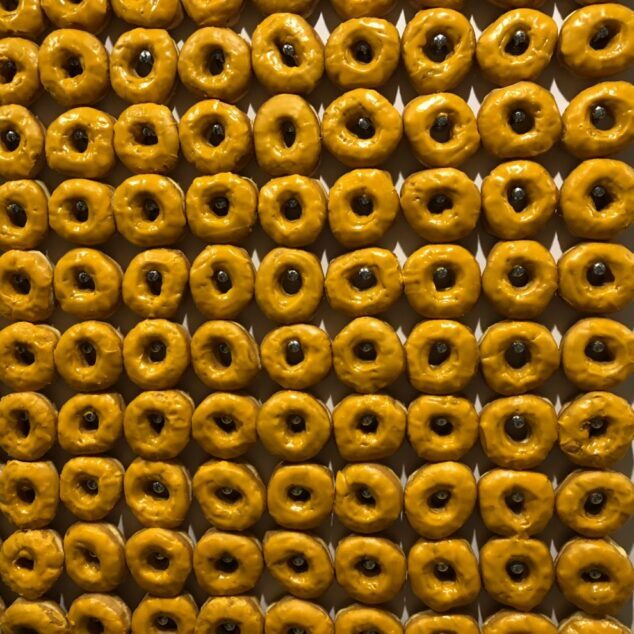 I think my daughter’s favorite part was the wall of donuts! I mean – this was like liquid gold to her! 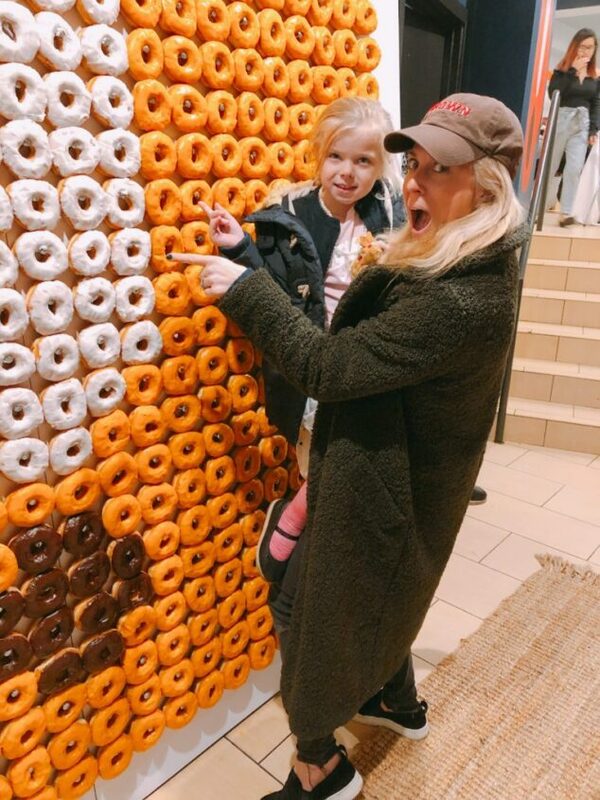 Every time we passed by the donut wall, Victoria tried to grab a donut! It also smelled absolutely incredible!! 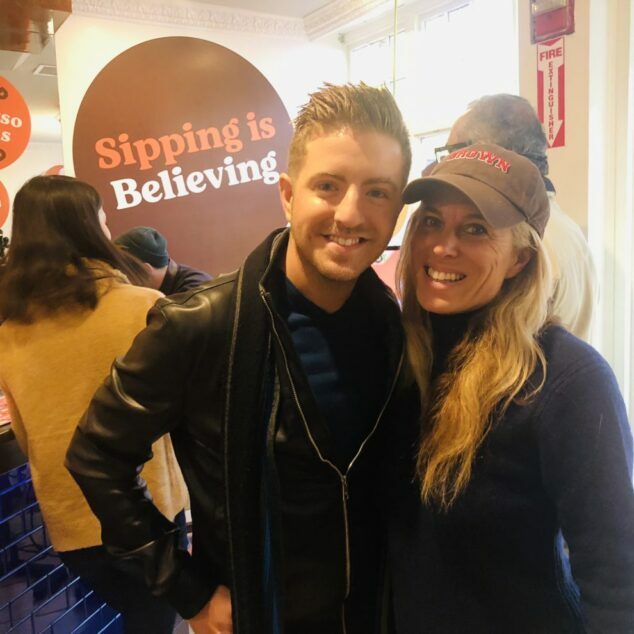 Billy Gilman was there, too! He’s such an amazing singer and he’s always so kind and sweet!! I asked him for a photo and said, “Absolutely!” I was thrilled!! We are trying to get to his holiday concert at the Dunkin’ Center in Providence this holiday again! 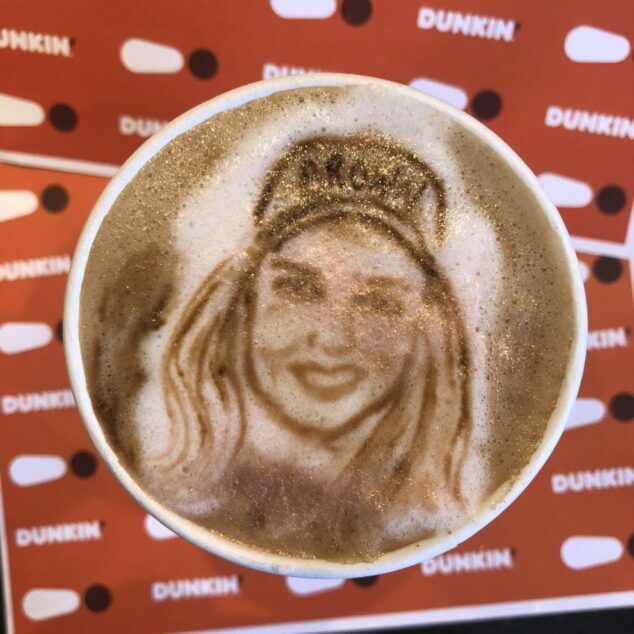 One of the coolest parts was getting to have my face drawn into the foam of my latte! WHAT!!?? YES!! OMG, it was so amazing to watch the espresso artist create! It only took him 10 minutes to make my face in the foam! My mind was completely blown away by the cool factor! I had so many people reach out to me asking about this on social!! Victoria couldn’t believe it either! She kept pointing to it asking, “How did he do that! 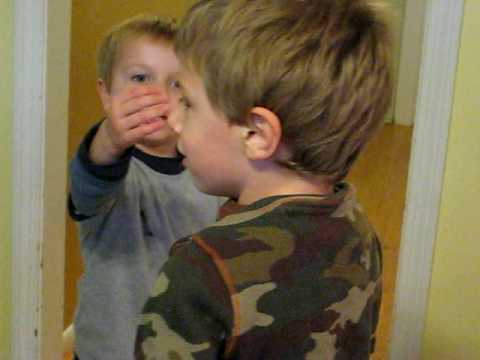 ?” I don’t know, but he did!! 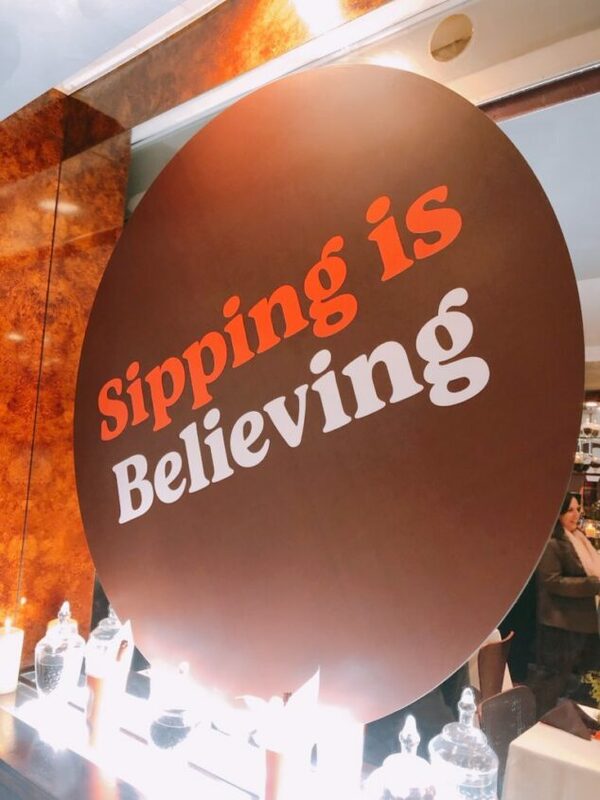 The Sipping is Believing event was just a blast! 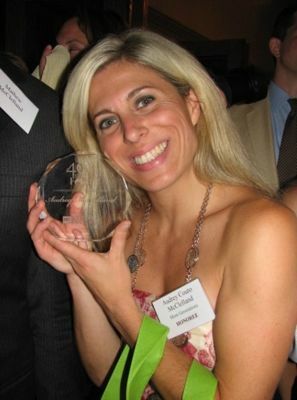 Always up for a fabulous time where I can bring the ones I love and especially with a brand I’m obsessed with, too! Thank you Dunkin’ for hosting this, it was so much fun!! 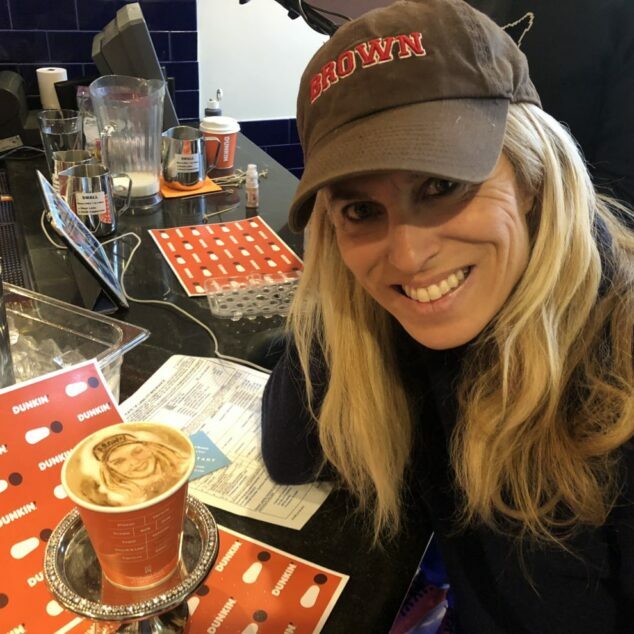 Now go try your ESPRESSO at Dunkin’ in the fun orange cups and let me know what you think! !